Combustion & Control Systems, Mumbai offering Oil and gas Solenoid valves and coils. Brahma oil and gas solenoid valves and coils. Electrogas oil and gas solenoid valves and coils. Parker oil and gas solenoid valves and coils. 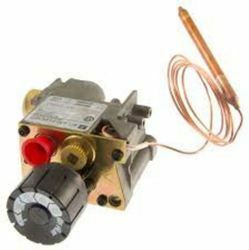 How does a gas non return valve works. These hand shut off valves are designed for installations in liquid, suction and hot gas lines of commercial refrigerating systems and on civil and industrial air-conditioning systems. - Size : 1/2" B.S.P.T.M.x M.E.C.V. 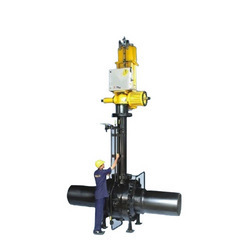 Valve Size: 1" to 4"
- Size - 1" to 4"
Max Set Gas Valve 1001 is used to set air/gas ratio on a nozzle-mix burner. It has a V-port plug that can be adjusted sensitively and accurately with a screwdriver. We are manufacturing combination air /gas/oil ratio control valve 1/2" to 16 "air/ gas line for the automation of the furnaces. Manufacturer of standard and custom Gas Valves. We are manufacturing Mulitivalve for two, three and four wheeler. We are maintaining accuracy in it. we are using CNC engineering work to maintain its accuracy under high educated people.